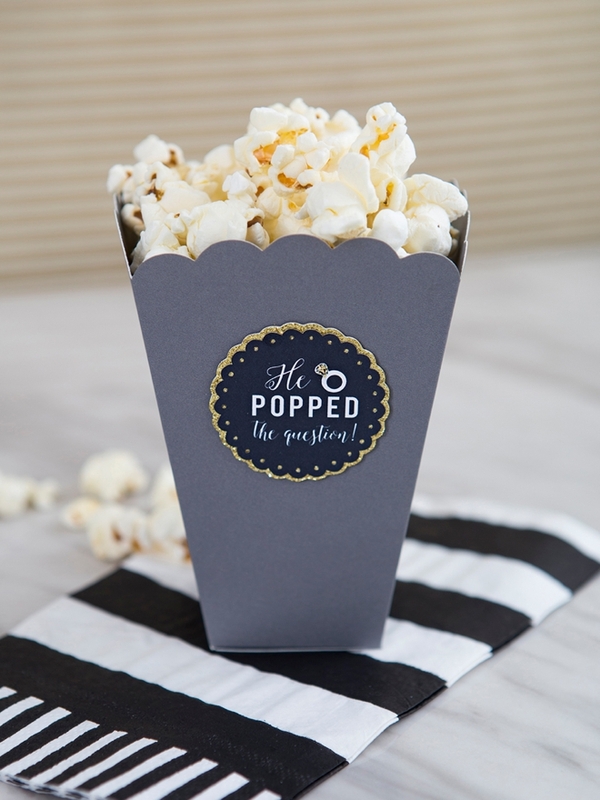 These DIY Popcorn He "Popped" The Question Favors Are Adorable! 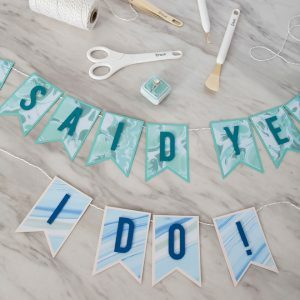 We’re still in the thick of engagement season, that time between Thanksgiving and Valentines Day when the majority of proposals happen, so I’m celebrating with you! 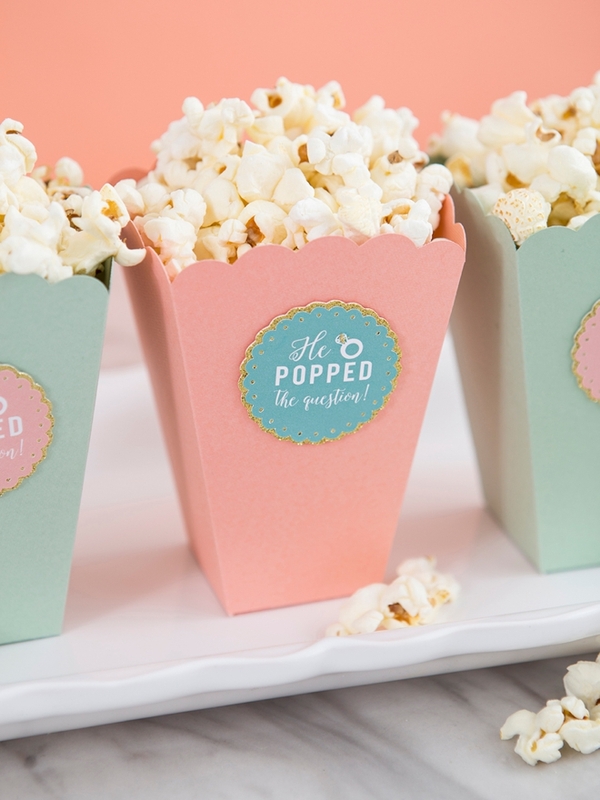 If He or She has popped the question lately, these adorable popcorn box treats would be the perfect addition to your engagement party or bridal shower. 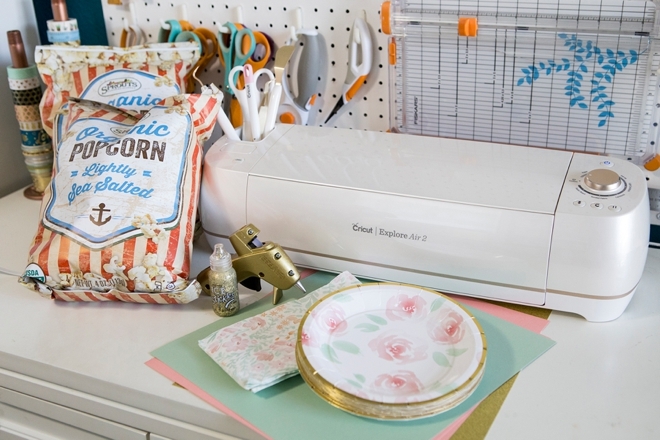 They might look intricate but your Cricut does all the hard work. 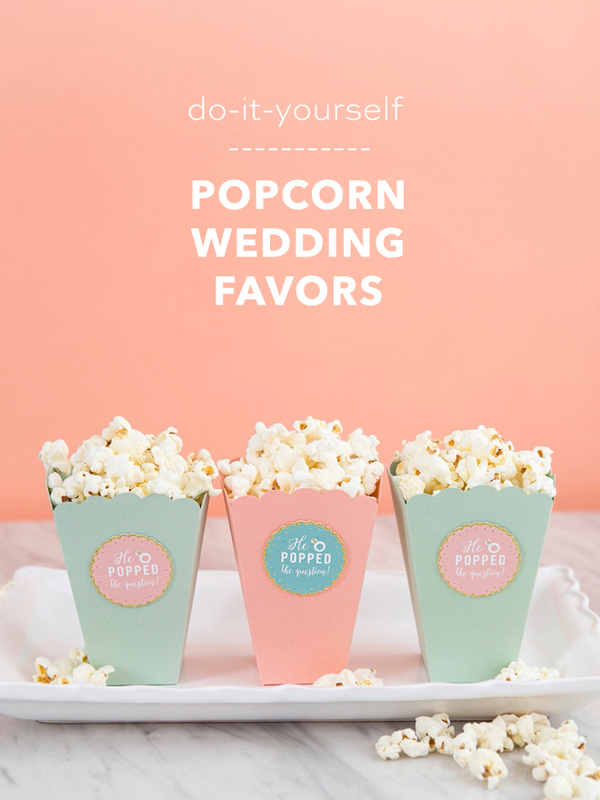 I added the wedding details to existing Martha Stewart popcorn box files and you can do the same or you can use the designs I created. 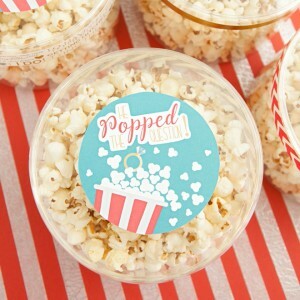 Add you and your fiancé’s favorite flavor of popcorn and let your guests enjoy the fact that you have some new bling! 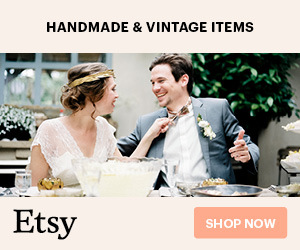 Last year Martha Stewart released the most fabulous line of party supplies and decor at Michaels called Celebrations, have you seen it? 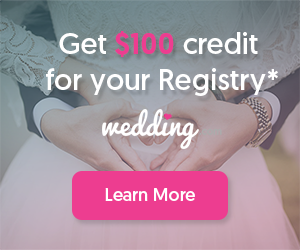 An entire aisle packed full of adorable party designs in the most fantastic color themes… which includes both the black and white and mint and blush plates and napkins I’m using here. 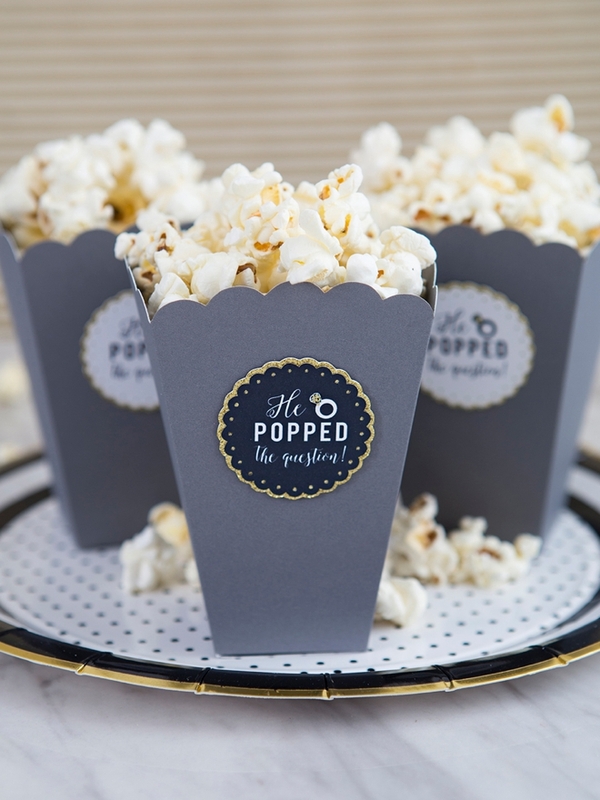 I made the popcorn boxes to match the party ware! 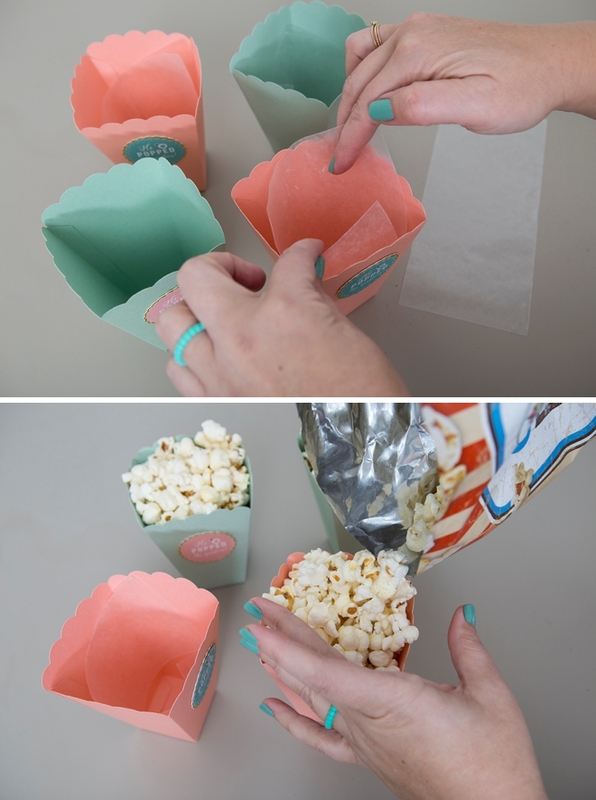 Login to Design Space to create your popcorn boxes. 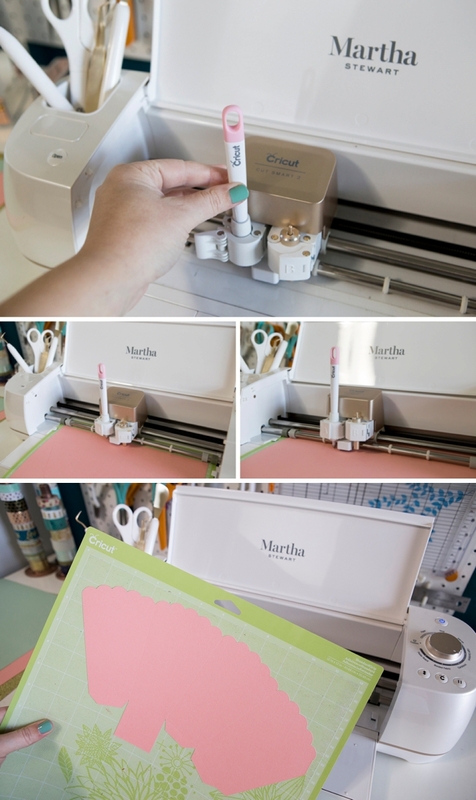 I used the predesigned Martha Stewart Snack Bag Snack Bag (M54C5763) with the Martha Stewart Doily (M3A2AF). I added the little saying using Bebas and Octavia Script fonts. Once your logged in, you can click on this link and it will take you directly to my canvas so you can use my files for free! Printing Tip: If you want to change the font and circle colors you can do so by unflattening and ungrouping. Just make sure to select the font and the circle and “flatten” again, that turns them both to a print file and not a cut file! 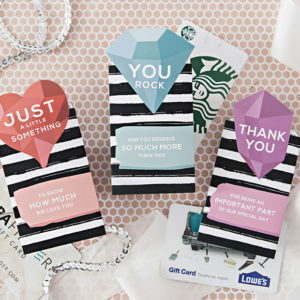 FYI: print then cut is the absolute best and that’s what we’re doing today! 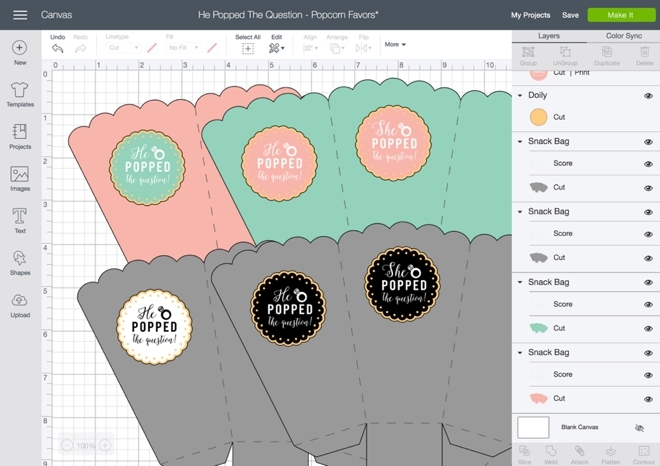 Design Space will prompt you to print the file so follow the prompts. I printed the little circles on sticker paper to make assembly easy. 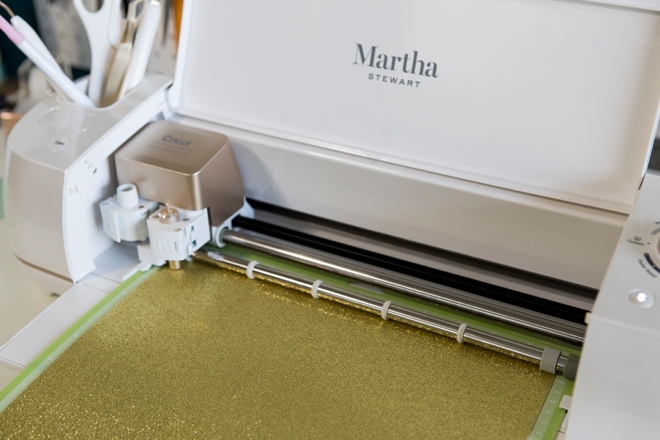 Then you put the printed sheet on your cut mat and the Cricut reads the black lines with a little light and knows exactly where to cut! It’s fantastic! 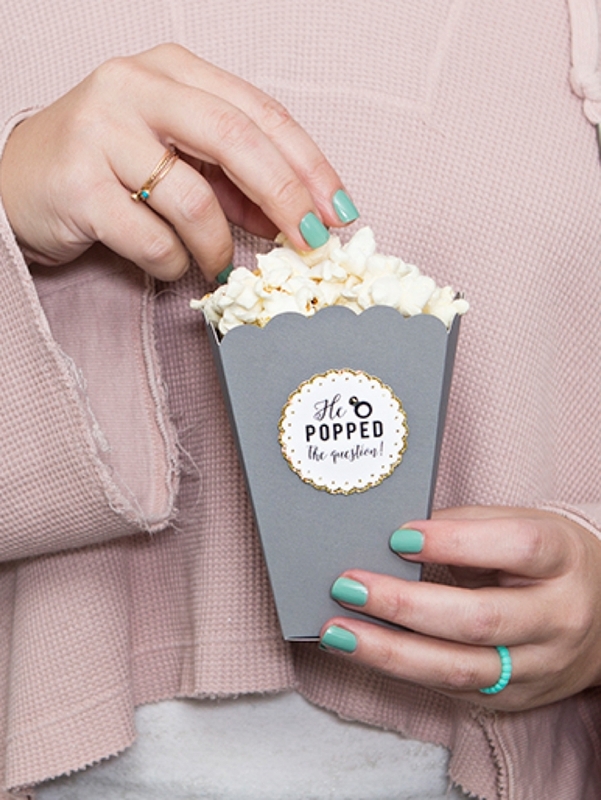 The popcorn box has score lines for folding so you’ll need to add your scoring stylus to the accessory clip before you cut. 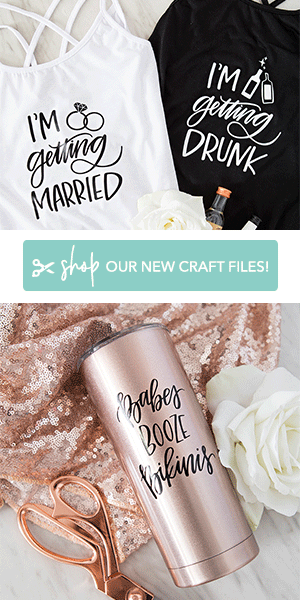 Then let your Cricut work it’s magic on the rest of the files. There are tiny little decorative circles cut out in the scallop and it was easiest to remove them by gently pressing them with the piercing tool. 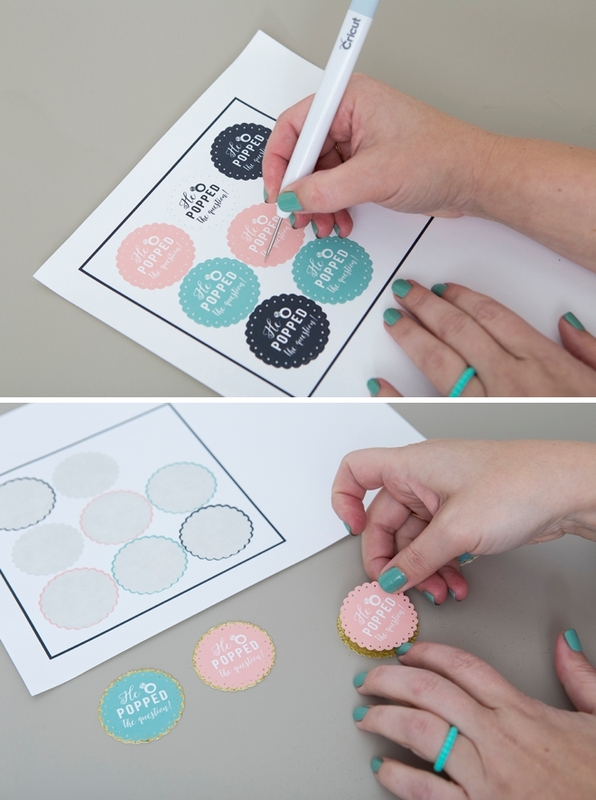 Then add each sticker to each gold glitter circle. 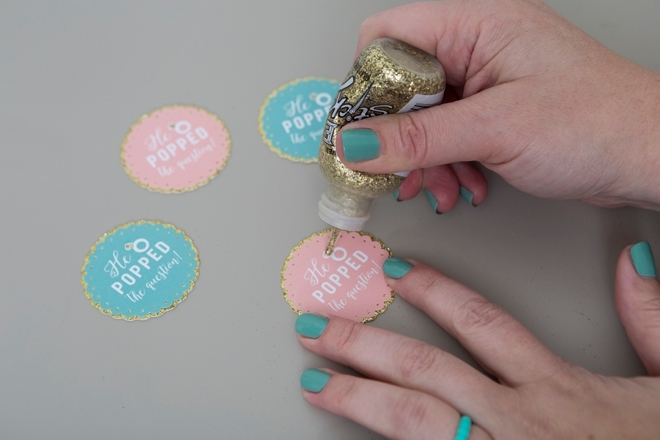 If you’d like, you can add a little extra sparkle to the diamond of the engagement ring with glitter glue! 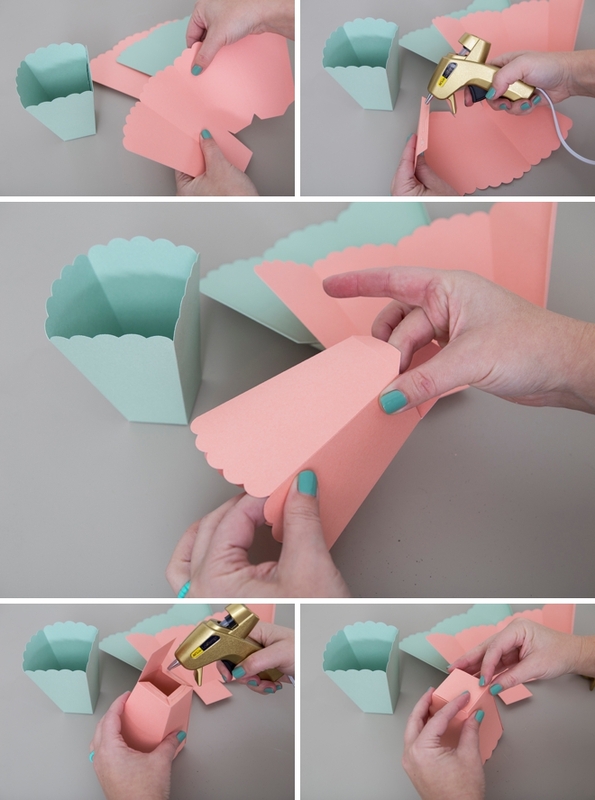 Fold the boxes on the score lines and then fold and hot glue the flaps together. Most popcorn, even the non-butter types are a bit greasy. Greasy enough to make spots on cardstock, which can be prevented by a layer of wax paper. 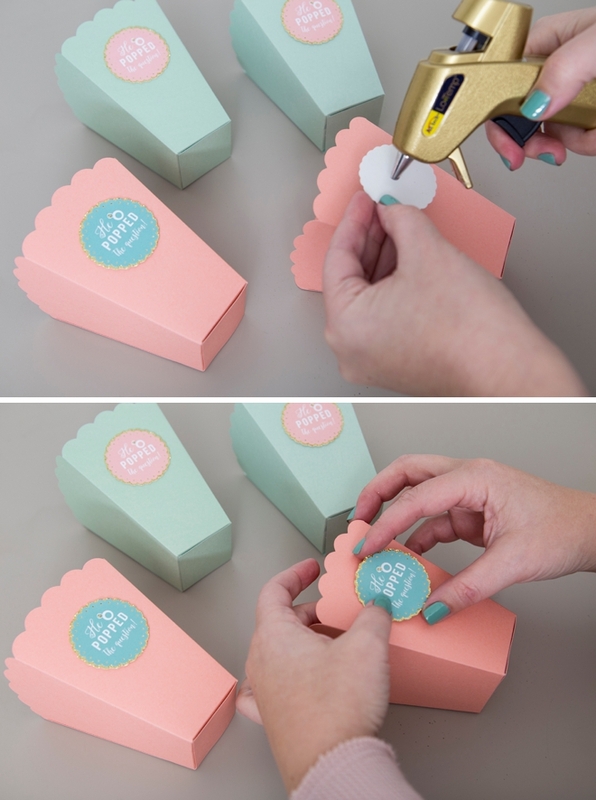 I cut 3.5″ x 8″ strips and lined the inside of each box before I added the popcorn. 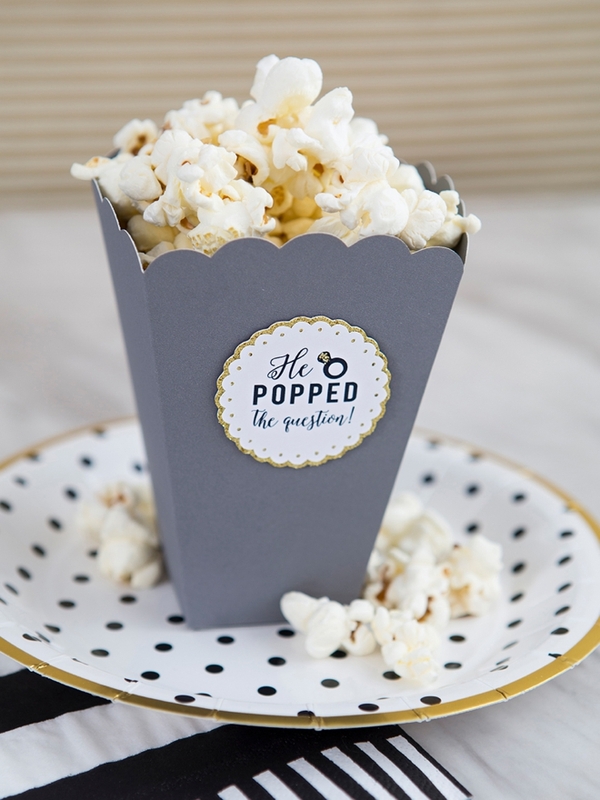 To see if this will happen with your popcorn and choice of cardstock, put some popcorn on a piece of the cardstock and let it sit there for an hour or so to see if it leaves grease spots. Do you like caramel popcorn? Does he like cheesy? 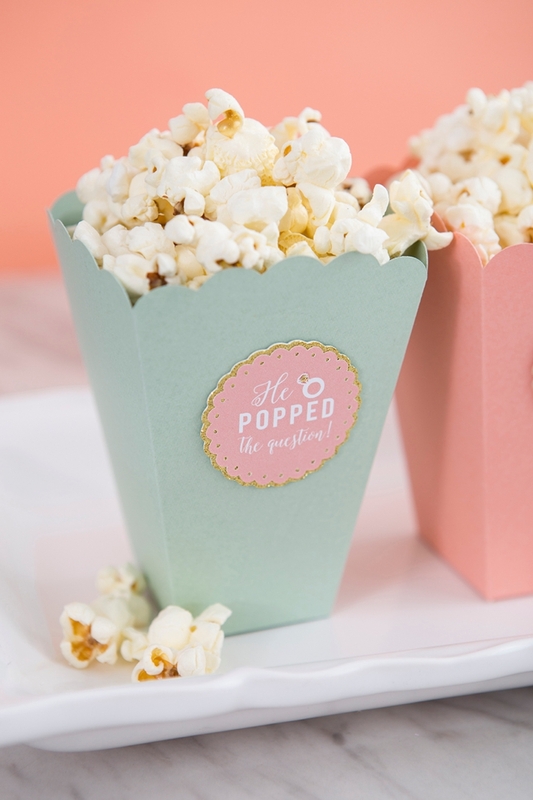 It might be a cute idea to hand out two flavors of popcorn, your favorite and his! Everyone loves a little snack, especially one this cute!